When you let someone into your home, you need to trust them. Especially if you have your kids and family around, you want a service that’s professional, reliable, and high quality! At Peter’s Pressure Washing, we offer exceptional cleaning services for residential and commercial exteriors. Day by day, we’re making Brandon cleaner, greener, and more beautiful. Florida’s warmth and sunshine are enviable among residents living in colder weather conditions. While as citizens we love the atmosphere, as homeowners, we often worry about our property. The ample sunshine can damage our driveways, while the warmth can lead to the growth of algae and mildew on our roofs and home exteriors. For most people, their home is the most significant asset of their lives. Thus, protecting and preserving it becomes a priority. When traditional cleaning methods aren’t enough, you need to call in the big guns. 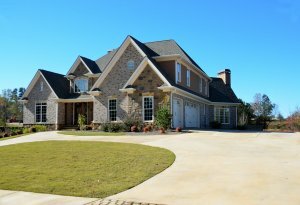 Get your sidewalk, pavement, or driveway cleaned by professionals at Peter’s Pressure Washing. When our team visits your property, we take a thorough look around and suggest the right methods for cleaning. We begin the task with a low-pressure rinse using a mixture of non-toxic cleaning materials. Then we cut through all the mildew, grime, and algae on your driveway or façade. Next, we use a soft water rinse for a lasting effect. Compared to hard wash services, our techniques are safe for your roof shingles, driveways, windows, and sidewalks. We make sure to protect your home while cleaning it thoroughly. Call us to clean your dirty sidewalks, remove rust from your exteriors, clean window panes for fresh air and say goodbye to algae and mold for good. With a job well-done and excellent customer service, we hope to see you for a lifetime to come. Even though contractors market pavers as maintenance-free, they do need some necessary support as other outdoor surfaces that are prone to extreme weather conditions. 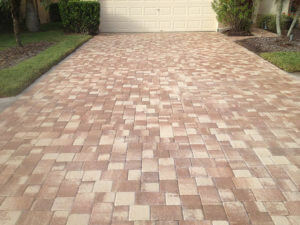 If you don’t replenish joint sand, seal your pavers, and stabilize the joints, you can expect more significant problems like surface erosion and permanent discoloration with time. Luckily for you, Peter’s Pressure Washing specializes in cleaning and sealing services in Brandon. From paver restoration and brick paver sealing, to concrete paver sealing and driveway paver sealing, we do it all with the best results. Our extraordinary Seal ‘N’ Lock system surpasses all previous paver cleaning systems. It’s the only product that ensures paver restoration with zero toxicity. Usage of this product helps protect your investment and offers a long-lasting luster and enhancement for your property. Residential and commercial roofs are susceptible to a lot of mold spores that lead to black stains and streaks. Our low-pressure cleaning techniques completely destroy mold without causing any damage to your shingles. When our customers opt for regular pressure washing for their roof, they prevent long-term roof damage and thus, save thousands of dollars! Commercial property owners often struggle with keeping their buildings clean. Unexpected graffiti on the walls, pollution, dirt, dust, and industrial oils can cause a lot of damage to your exteriors. Not to mention, they create a bad first impression and can often lead to business loss. In such competitive times, you can’t let customers dislike your property. If you’re a business owner who’s looking to clean their building façade in Brandon, Peter’s Pressure Washing is what you need. Our team of professionals will handle all your requirements with the utmost dedication and commitment. We offer customized solutions based on your property requirements. Without causing any damage, we can clean bricks, stuccos, EIFS, and more. No matter what surface needs cleaning, we’ve got the equipment and expertise to deliver the results you’re looking for. When done, you’ll notice a gorgeous, sparkling clean wall that welcomes your customers and clients and adds new life to your building. Contact us to clean your parking lots, garages, storefronts, and sidewalks. We can clean 50,000 to 150,000 sq. ft. of an area in one night with our commercial grade gear. Further, we ’re safe operators, so you don’t have to worry about creating a toxic environment for your employees and clients. Why Choose Peter’s Pressure Washing? If you’re looking for residential or commercial pressure washing services in Brandon, FL, Peter’s Pressure Washing is the perfect solution. Find out why Peter’s Pressure Washing is the No. 1 pressure washing company in Brandon, Florida. Call us today!